PSSSST...I'm no longer blogging here! Well, y'all know I have a thing about fireplaces and mantels, yeah? I'd been itching to work on the new house's fireplace/mantel since moving in. At which point I started obsessing about paint colors. When we were deciding on finishes, it was cost-prohibitive to carry the stone all the way up to the peak....so I always intended to do some sort of 'treatment' to blend the drywalled part with the stone. This shows one of the first oopsies at the top. The one that made the room sing ended up being Interactive Cream. I painted the pallet piece with left over wall paint (Glidden's Antique White), and heavily distressed it with my palm sander. Hubs used 4 ginormous screws to attach it to the wall. Sewed up some wispy panels with poor-man's linen....osnaburg muslin. 20 yards at $3/yd using my 50% off coupon at JoAnns. They're not hemmed yet, and I think I'm gonna do some bishop sleeves. Instead of fiddling with a DIY corner rod, I just used those good old fashioned metal rods that cost like $3 each. No finials or anything. Lowe's had 'em in oil rubbed bronze. See how nicely they meet in the corner? Total cost for dressing my three super large windows...$75. They really helped pull the room together, bringing the fireplace to the center. I had originally thought I'd plank the drywall above the stone, but when serendipity strikes, you grab it! The cast-off pallet wood works perfectly. Love the rustic texture....as I was sanding, it brought out the yellow undertones in the white paint....hard to see, but trust me, it looks awesome. My great room is finally coming together....it's not a large room, but with the massive windows and vaulted ceiling, everything felt a bit lost. Adding some color and texture has helped it feel warm and welcoming. I'll share some other things I did in the room next post. Of course it's not done yet (as if it ever gets 'done'). I hope to add planking and beams to the ceiling eventually, and I'm considering painting the white walls a neutral called 'Biscuit', which happens to be the lightest shade on that strip from Sherwin Williams. I'm hording lighting ideas, including some sconces or lanterns for either side of the rustic wood board. The small rattan uplights from Target up there currently look awesome turned on at night, but look dinky during the day. And I have some more sewing to do to tie in the green chairs to the scheme. I'm almost done with the master re-do as well. I'll be showing off the new paint color, sewing projects, headboard building, and decor soon! So what do ya think? Improvement? Think I'm nutso for putting a huge piece of scrap wood on my mantel? Of course it would wonderful planked all the way up, but would it looks better than FREE?? Not a chance. Bravo! I loooooove the fencing! I think it looks amazing! love it!!!! it's so beachy and so you now! Really beautiful and well done. I have a massive stone fireplace that sold us on buying our home. What I didn't expect was how hard it is to decorate. Thanks for sharing this great transformation. 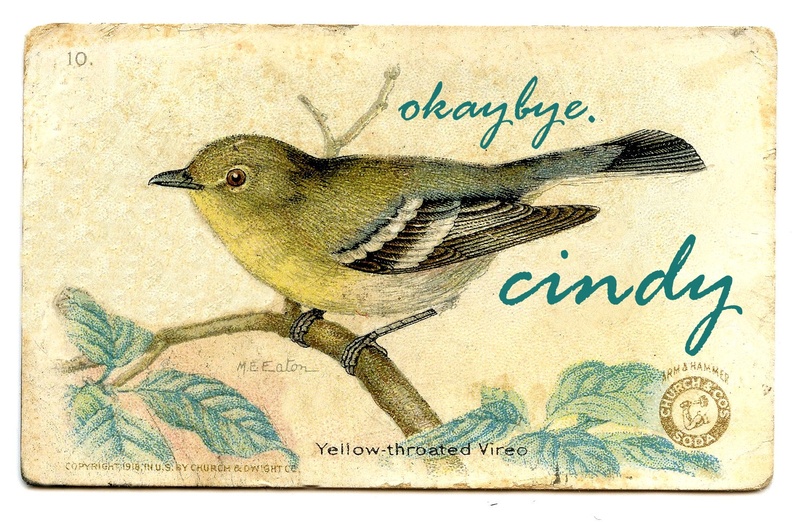 It was meant to be, Cindy. It fills in the space perfectly and adds a nice rustic touch ~ great backdrop for all kinds of decorating! Fabulous! I love seeing what you're up to in your new house! Thank you for sharing at my party. 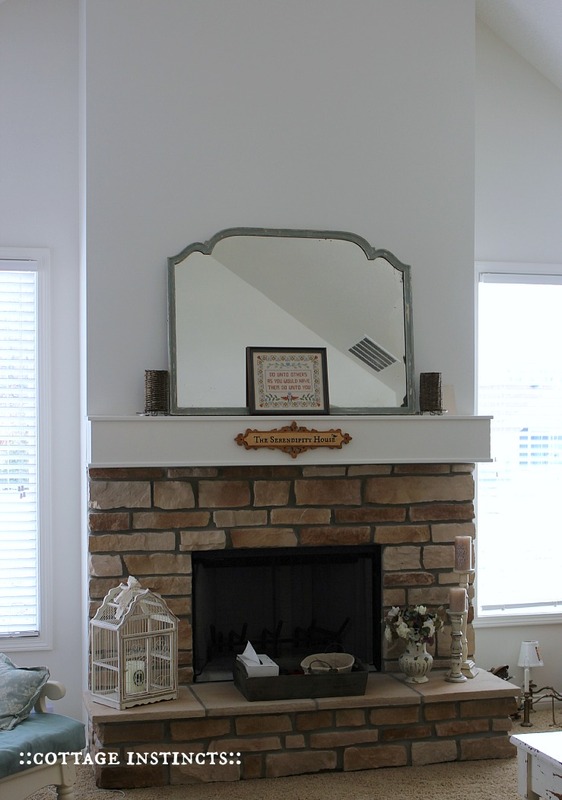 No, you are not crazy to put that piece of old wood on your mantel...it looks great!!! I also like your thrifty drapes...they look perfect in your new room. Your fireplace looks beautiful. If you have not shared yet at the Anything Goes linky, you are welcome to. Have a great week. 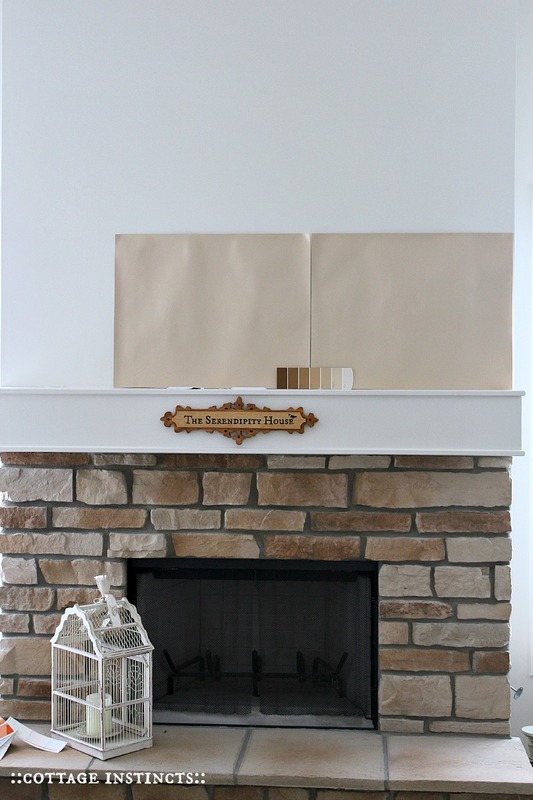 I loved your idea of planking the wall above the fireplace, but that piece is so beautiful, it's a better solution! Oh my goodness it's just lovely...every single thing you did...lovely! The pallet backdrop is perfection, highlighting the scale of your fireplace and high ceilings and the curtains are wonderful! I love the way the fabric hangs...every detail is perfect! Coming by to let you know that you will be featured at my party on Monday. It looks awesome Cindy! In fact I think brick up to the ceiling would have been overpowering. I love the rustic beauty of the palette. Those curtains are great too. I used dropcloth for curtains, and added ruffles alternating onasburg and dropcloth. Thank you for sharing at What We Accomplished Wednesdays. Have a great week! That looks amazing! The pallet and the new accent color really pulls your eyes up to that pretty peak. Your curtains and rods are perfect too. I'd say that all worked out just right! Wow Cindy, that pallet piece is just so perfect! What a wonderful backdrop for decorating throughout the year! I love the way you are pulling this room together! Love your colors too, just a lovely soothing room. This is awesome! I love the pallet wood, it is perfect for over your fireplace and the curtains and rods look great too! Nicely done! Your curtains and FP are great!! Can you tell me more about the muslin?? I can't find "Osnaburg Muslin" on the Joann's site. Great job with the room! Love the touches of aqua tones. It looks so soothing and relaxing! I have missed coming here and seeing what you are up to! Looking forward to getting into the swing of things again! It is very warm and welcoming but very cool too! I love the beach theme. I want to do this. You are giving me some ideas. It is amazing the difference those simple changes made. It turned out really nice. I need to find the courage to try something like this out on my fireplace. I love your house. You are so creative and inspired.